The Cadillac commercial that generated the most buzz during the 90th Academy Awards on Sunday gave audience members some brief glimpses at the upcoming Cadillac XT4 crossover. Of course, it wasn’t the only ad that Cadillac aired during the prestigious cinematic awards ceremony. Another of Cadillac’s ads compared famous cars of the future featured throughout various television shows and movies to its own Super Cruise-equipped vehicles. 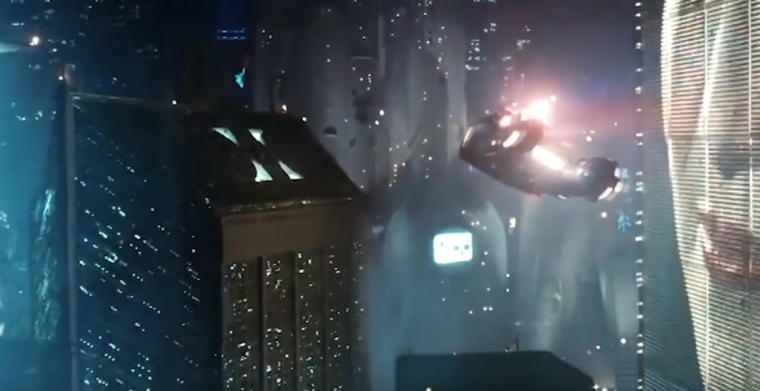 The spot, titled “Future Cars,” begins by showcasing various futuristic vehicles that have appeared on television of movie theater screens throughout the years. Such models include K.I.T.T. from Knight Rider, the flying car from The Jetsons, the DeLorean from Back to the Future, a modified Mach 5 from Speed Racer, and numerous vehicles from Blade Runner. Following this montage, accompanied by Portugal. The Man’s hit song “Feel It Still,” Cadillac declares that the car of the future is already here. The model in question is a Cadillac CT6 equipped with the brand’s semi-autonomous Super Cruise technology. For last year’s Oscars ceremony, Cadillac released an ad with images of street protests, soldiers, and flood victims coming together in a call for unity. This year, however, Cadillac wanted to place more emphasis on its vehicles, relying on a more upbeat and optimistic delivery. Super Cruise, which is currently only available on select models of the Cadillac CT6, is Cadillac’s semi-autonomous driving system, which controls the CT6’s steering, braking, and acceleration while out on the highway. This is all accomplished without the driver needing to place their hands on the wheel or the feet on the pedals. While the Cadillac CT6 isn’t exactly a time-traveling DeLorean, it does stand out as one of the most advanced vehicle models in the world.